David Ullman a Professor Emeritus at Oregon State University, has used his expertise in mechanical engineering to design his IDEAL airplane. That stands for Integrated Distributed Electric-Augmented Lift, and like all good projects with good acronyms, almost explains itself. Recently, the U. S Patent office thought the IDEAL is worthy of being patented. It might be helpful to read the full patent, filed with working partner and neighbor Vincent Homer, because the ideal looks simple, but has years of development behind it. The two live in Independence, Oregon, on an airport that includes hangars on every house and taxiways linking them to the main runway. Both their hangars are filled with evidence of their skilled handiwork. Vincent’s houses giant models and evidence of aeronautical investigations. David’s shelters a very large wind tunnel, used to help verify his computations about blowing air over the wing and augmenting the lift while providing thrust. On one wall hangs the twisted wing strut that defines the sad shape of the Jabiru four-seater David rolled into his shop two years ago. Now rebuilt with David’s abilities for working with composites, the compound curves display a deep knowledge of topology. 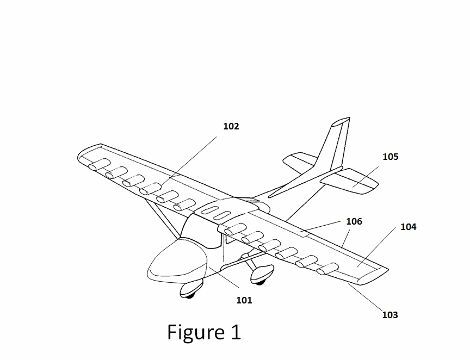 David and Vince presented at every major scholarly aeronautical event in the last year, upholding the idea of a winged Ultra-Short Take Off and Landing (USTOL) aircraft against a cloud of Vertical Take Off and Landing (VTOL) craft. The eVTOL News™ reports there are over 125 different electric and hybrid VTOL designs, with heavy backing from organizations such as Uber. IDEAL’s comparison of air-taxi visions uses a “simple analytical model to estimate range based on type of vehicle, battery characteristics and number of passengers.” David and Vince hang out some controversial words based on their findings. “Electric rotor-craft such as the eHang 184 and the VoloCopter 2X have very limited range even with next-gen batteries. “VTOL aircraft need to be very large to be effective (UBER is focused on 5000lb machines). Further, the high power needed, as with the rotor-craft, imply inefficiencies that may not be overcome with any foreseeable batteries and sound levels that may be unacceptable. “USTOL aircraft have high potential. They are perhaps the least developed of the three classes considered but can operate on near future batteries and very small “pocket” airports. “Clearly the use of batteries for air taxis is problematic. Even next-gen batteries are limiting. Other forms of energy storage need to be explored and developed. David and Vince are not hiding their light under a bushel, but rather share their expertise openly. One benefit of going to David’s web site is the opportunity to request the formulas he and Vince used to derive their ideas. This “open source” approach will only help to get more researchers on board and to make such experimentation more widespread. As we can probably surmise, neither the eVTOL nor the USTOL will work in all circumstances. There are places where the best bushplane can’t safely land, or even worse, take off. There are limitations to what eVTOLs offer with current batteries regarding range and payload. Only relentless testing and experience operating all types of these new craft will prove what is possible – and supportable. In the meantime, check out David Ullman’s site and read the patent and the ideas behind the IDEAL. The Mechanical Design Process: Case Studies shows how the principles in the text have been applied in real-life circumstances. David collaborated with 24 of his students to produce What Will Your Grandchildren See When They Look Up? The book provides visions of future aircraft, defined by solid engineering and imaginative leaps. Living up to his reputation as a decision architect, his book Making Robust Decisons, can guide individuals or groups through the intricacies of making valid decisions that lead to productive outputs. 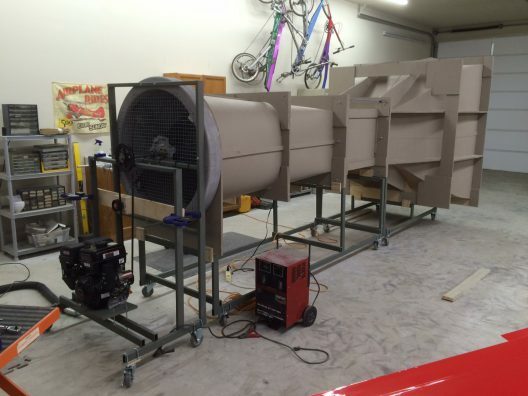 David’s body of work keeps growing and will soon include his IDEAL airplane.